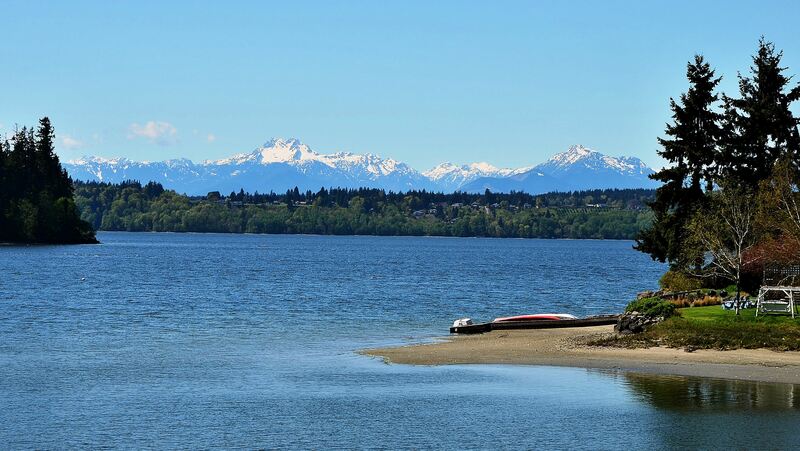 Bainbridge Island's charm, natural beauty, rural character and central location in the heart of Puget Sound make it a great place to live, work and play! You could say Bainbridge Island is located at the center of the glorious Pacific Northwest. As a suburb of Seattle, there are unlimited employment opportunities just a 35 minute ferry ride away. Our ferry also links us to the cultural, educational, and recreational life of Seattle as well as the skiing, hiking and other outdoor adventures of the Cascade Mountain range and Eastern Washington. Or maybe you would rather drive West an hour to the Olympic National Park and its hiking, camping and recreational possibilities. As an island located in the middle of Puget Sound, boaters have the best inland waterway cruising in the world and competitive sailing from the club level to Olympic caliber at their doorstep. Consequently, this “rock” has attracted bright, energetic, enterprising and independent citizens to its shore. Bainbridge Island is a charming, self-contained community, meeting and exceeding the day-to-day needs of its residents and visitors. A short ferry ride from Seattle, Bainbridge is more than just another suburb. This lovely island attracts a diversity of people who enjoy its rural nature as well as its many cultural, commercial and recreational opportunities.